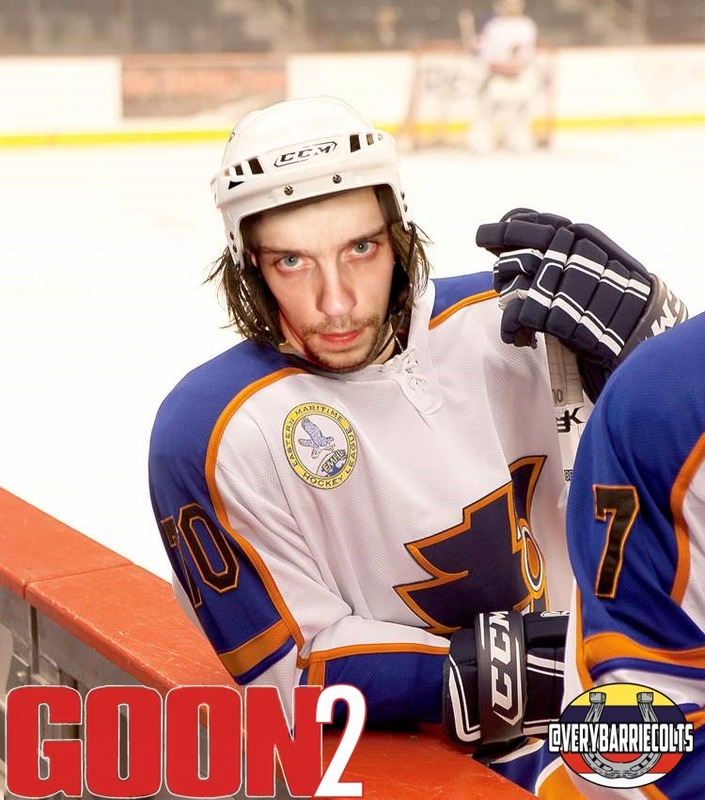 How 'Goon 2' would look with Barrie Colts. - Very Barrie Colts | A website covering the Barrie Colts of the OHL. Home Andrew Mangiapane Barrie Colts blog Brendan Lemieux Chadd Bauman goon goon movie Hockey Joseph Blandisi OHL Photoshops Seann William Scott How 'Goon 2' would look with Barrie Colts. 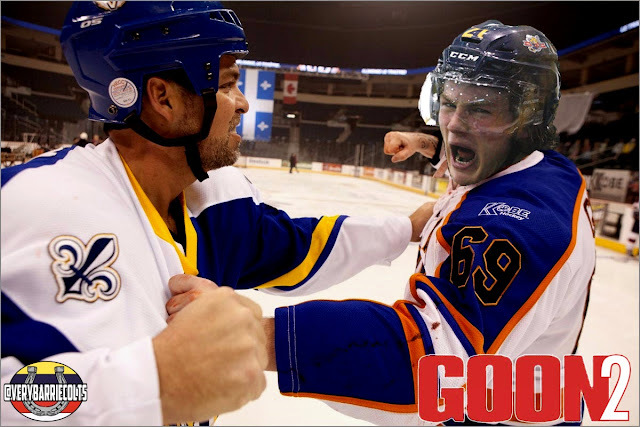 How 'Goon 2' would look with Barrie Colts. 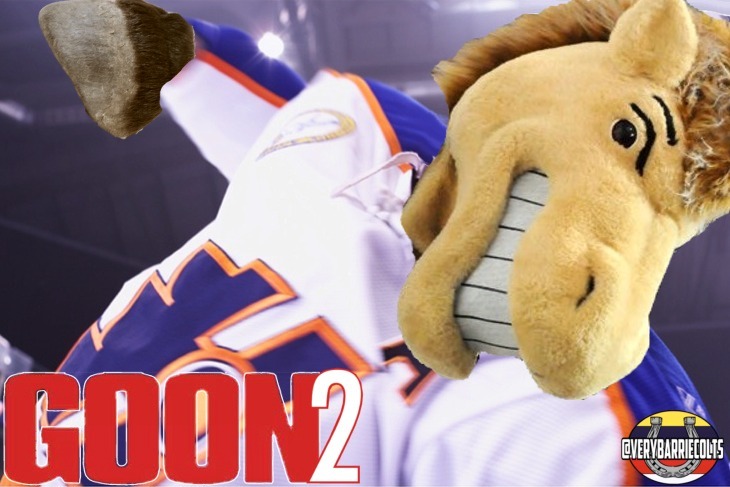 If you live in Barrie, or even just follow the blog you are aware that parts of the movie 'Goon 2' are being filmed at the home of the Barrie Colts; Barrie Molson Centre. They have opened a casting call for extras on a Facebook page. No actual dates for casting have been made but the latest update says they will have dates posted in the next couple of days. 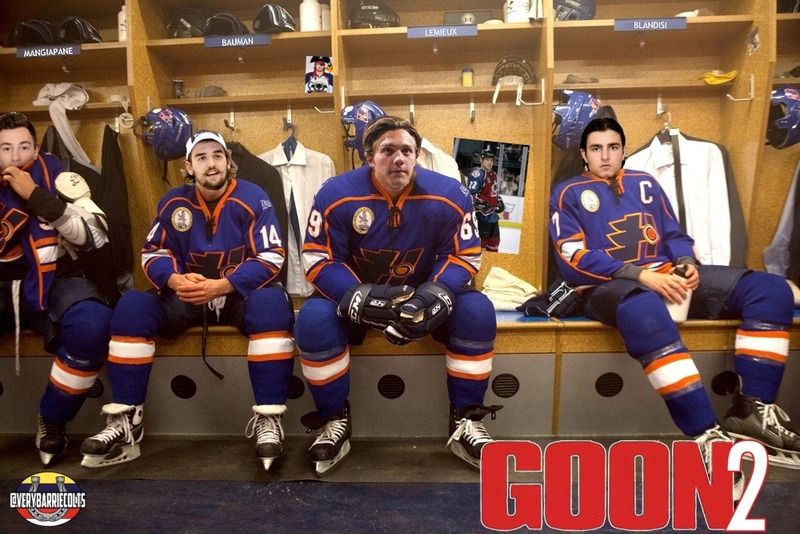 We thought that it would be fun if actual Barrie Colt players were in the movie. I wonder what that would look like? After I got sick of wasting my time wondering I decided that images of this were needed. Here is what the Goon sequel could look like if it featured Barrie Colts! The team in the locker room ready to go out for the next period. 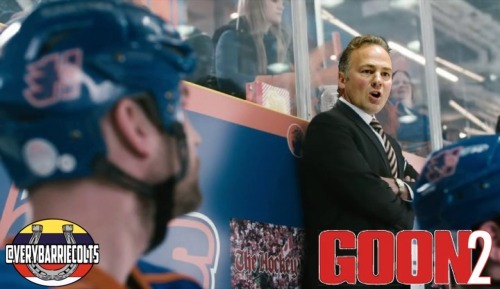 Coach Hawerchuk giving the orders on the bench. He seems like an easy addition to this film. We figure with the amount of fights in the movie that even Charlie Horse could take part in some of the fun! Lemieux can score but he can also drop the gloves! OKAY OKAY, I AM NOT A COLT. But I am trying to get a role as an extra so lets consider this my head shot... HIRE ME! 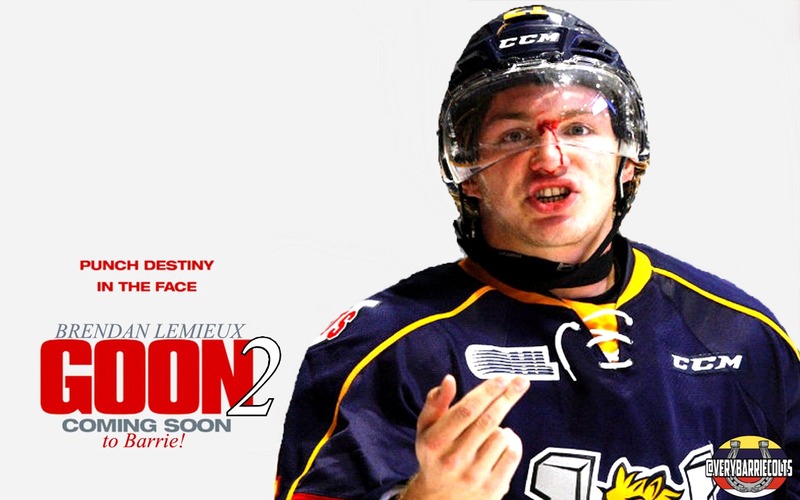 The leading role could be Brendan Lemieux! If you are in the area and want to keep up with filming and are interested in a chance at being in the movie you are able to do so at the Goon 2 Extras Search Page here. Do you have any ideas of players that would fit in the movie? Let us know in the comments, on our Facebook Page or on Twitter!